Thomas Bayrle is one of the first artists in Germany who worked with computer-generated images. Thomas Bayrle’s artworks and editions are usually based on graphic elements. He takes his themes and motifs out of the human’s everyday life and their world of consumption. He reflects a world of goods and merchandise. Through the repetition of shapes, his artworks and editions show the principle of series. In accordance with American tradition, Bayrle is, just like Andy Warhol, inspired by the world of consumption. The artist comments on society and its accumulation of goods by repeating shapes and pictograms and refers to his own artistic skills at the same time. You want to learn more about the artist? 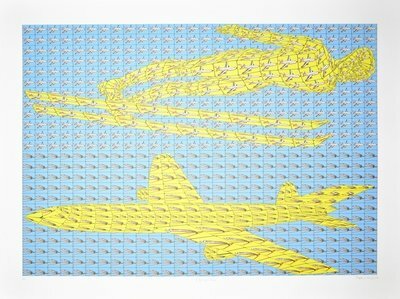 Visit Thomas Bayrle to get more details about the artist's works. 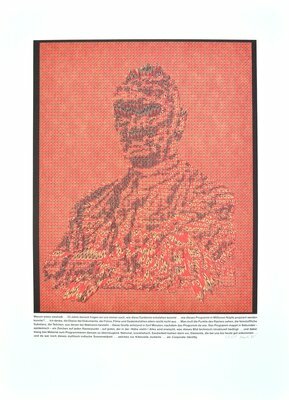 You want to buy artworks and editions of Thomas Bayrle, but you have further questions? We collected detailed information for this purpose.